Newly crowned Miss Ukraine Veronika Didusenko has been stripped of her title for lying about her personal life on her application. The 23-year-old, who was commemorating her big win on social media is now thanking followers for their support after the organizing committee announced her disqualification on Monday. 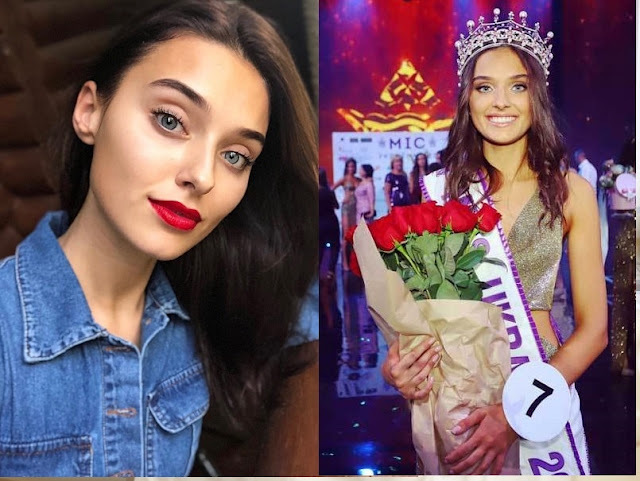 According to the statement from the official Miss Ukraine organization, Didusenko was in direct violation of the contest’s rules when she applied to compete, as Didusenko had lied that she was a divorced mother. The competition rules clearly states that contestants must not be, or have been married, and also have no children, during the period of the contest. “In accordance with the rules for conducting the National Beauty Contest Miss Ukraine, a person who wishes to take part in the National Beauty Contest “Miss Ukraine” must comply, among other things, with the following requirements (valid for the period of the Contest): – not / was not married; – has no children,” the statement reads.